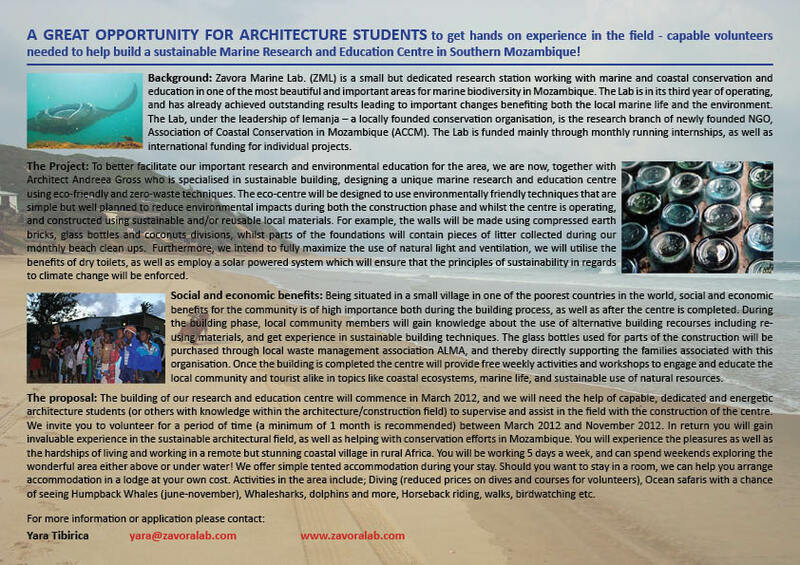 A small environmental education and marine research association in Zavora, southern Mozambique are seeking to build a new centre using eco-friendly techniques with limited financial resources. They are going to use earth bricks, glass bottles and cocconut wood. They are looking for volunteers, peferably with some experience or expertise in eco-building, to help them complete the project. They are looking for volunteers to spend at least a month between now and November later this year. Please pass onto other lists or sites as appropriate. I know some students who is interested in this types of projects.